Home / The Shrink-Rap Book Shop / Books for Adolescents and Adults / Too Blue. Too Blue&apos;s simple text and many drawings bring the symptoms of depression and the havoc of mania into clear focus. Treatments are described and explained in a balanced way. A special section is provided for those who want to know something about the underlying workings of the brain and how they relate to severe mood changes. The third edition was published in 2017. Too Blue is an encouraging book which tackles tough topics like suicide in a clear and helpful way. 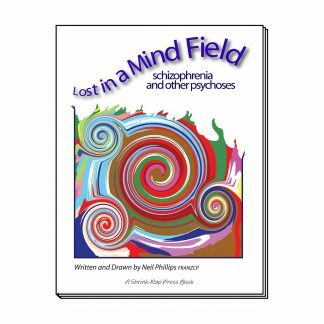 It is a book which will prove useful to those who suffer from a mood disorder and for other people too. After all, just about everybody, sooner or later, is involved with someone who is seriously depressed. 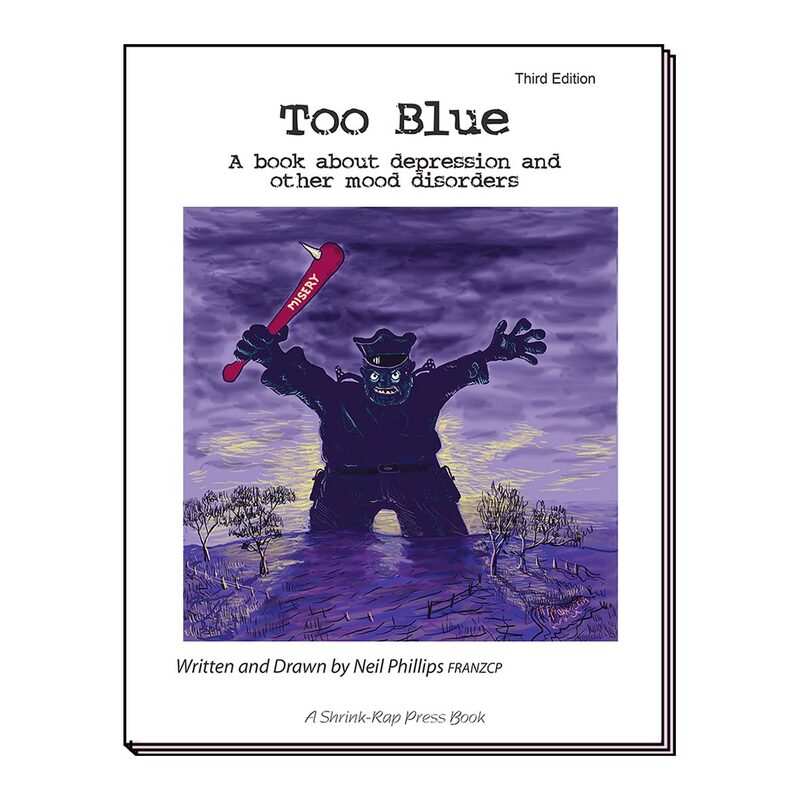 The author and illustrator of Too Blue is a psychiatrist who shares with the reader knowledge and optimism acquired through decades of helping people battle with the mood disorders that cause so much pain and trouble in life. 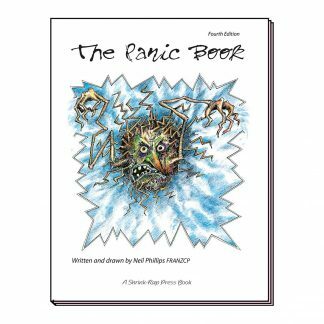 The Panic Book. Lost in a Mind Field. © 1999 Shrink-Rap Press ( Australia ) Pty. Ltd., ABN 87 090 970 068. All rights reserved.